Formerly part of Classic City Marinas, Eclipse Marine Group, based in Athens, Georgia, has announced its entry into the boating and marine industry, as owners and operators of a network of boat dealerships across the southeast. In Georgia, Eclipse Marine has three locations: Eclipse Marine at Sinclair Marina serves the Lake Country in middle Georgia, Eclipse Marine at Clarks Hill Marina serves Augusta and east Georgia, and Eclipse Marine at West Georgia Boat Center serves an area from Peachtree City and Newnan to Columbus in western Georgia. In South Carolina, Eclipse Marine at Clemson Marina serves the Upstate, Lake Hartwell, and Lake Keowee as one of the area’s leading boat dealers. Throughout all locations, Eclipse Marine partners with: Tracker, Ranger, Veranda, Xpress, Avalon/Tahoe, Monterey, Mercury, Yamaha and Suzuki. Eclipse Marine is rapidly expanding to better meet the needs of the customers while actively acquiring new dealerships around the southeast. Better availability and consistency among dealerships is the overall goal. The company released a new innovative and fully integrated website with the help of ARI Network Services Inc. to provide a user friendly experience on a platform that connects all its dealership locations throughout the southeast. Along with the launch of its new website, Eclipse Marine is planning continual growth throughout 2018, striving to acquire new dealerships. 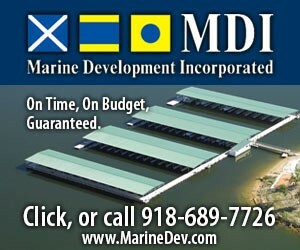 To find out more information about Eclipse Marine Group, please visit: www.EclipseMarine.com. To learn more about dealership acquisitions or job opportunities, please email: info@eclipsemarine.com.